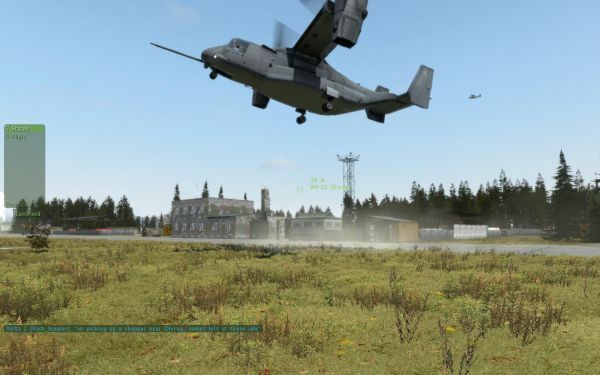 It's figures, one day after we post our ArmA II review - Bohemia Interactive releases a new patch for the game. Players can download the patch from the official website, and Steam users will get auto updated. While the patch weighs in at 134MB, Steam Users need to sit through a 4GB download to update the game due to some issues with the existing version. There's plenty of solid fixes like: Grenade could sometimes destroy a building just by impact and Rainbow is visible even with sun below horizon. Two issues I know were just killing us. In all seriousness there's lots of performance and gameplay improvements listed. The full list of fixes is posted below. * New: Functions getPosATL and setPosATL to allow controlling position relative to terrain. * New: Direct analogue throttle and brake for airplanes now available. * Optimization: Reduced frame stutter near map borders. * Fixed: Rainbow is visible even with sun below horizon. * Fixed: Sea surface was not rendered in NE area out of map. * Fixed: Terrain surface was sometimes using wrong parallax map. * Fixed: Reduced AI detecting slowly moving enemy vehicles by ear.